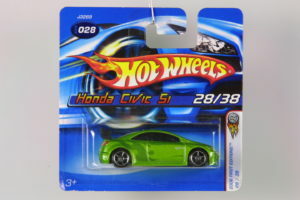 In late 2005, Honda launched the Civic Si Coupe to the delight of Honda enthusiasts. 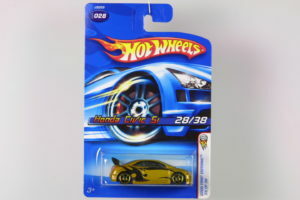 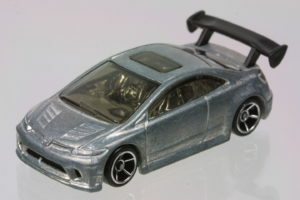 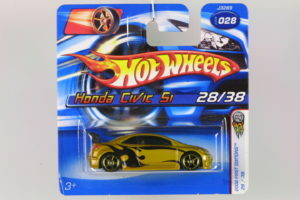 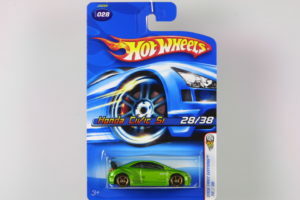 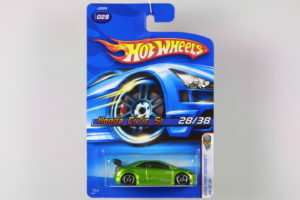 Almost at the same time, the Hot Wheels Civic Si Coupe was also launched. 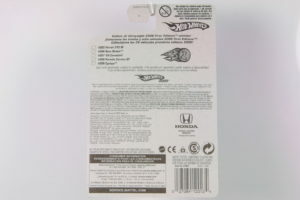 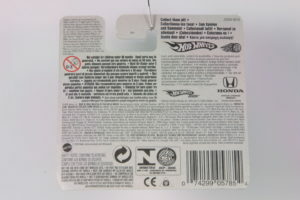 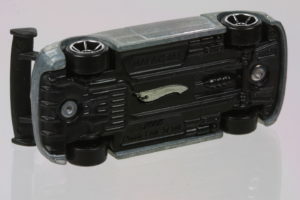 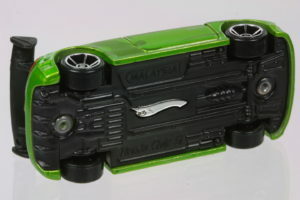 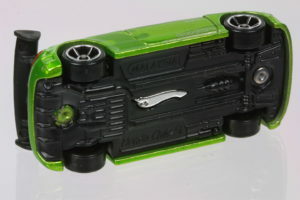 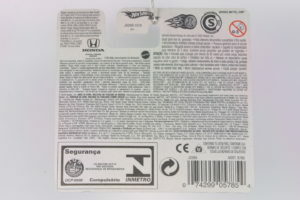 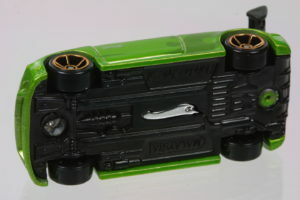 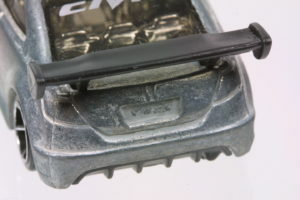 This casting was unique at its introduction because the interior piece extend into the base to form the Hot Wheels Logo outline. 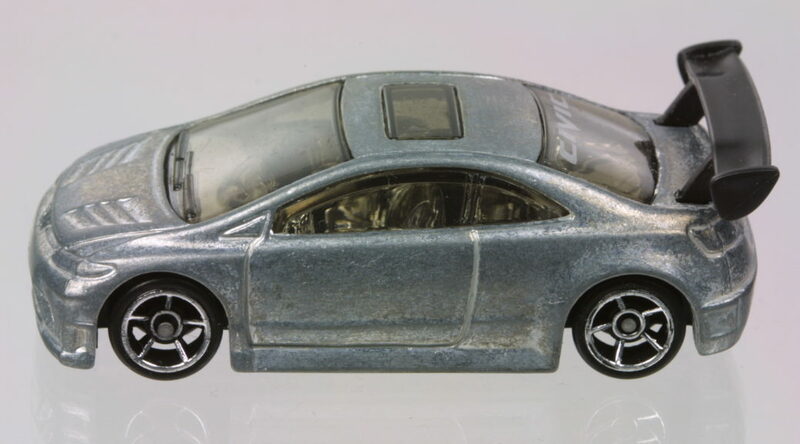 The initial version was exclusively available only at the 2005 SEMA show. 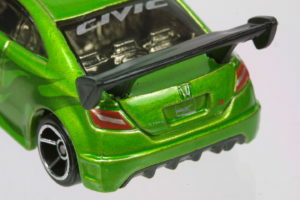 The SEMA version differentiates itself from the normal versions with the “Dropstars” tampo on the doors and rear window in addition to the black hood, trunk and roof. 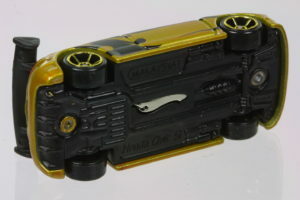 The SEMA Dropstars version with chrome FTE wheels. 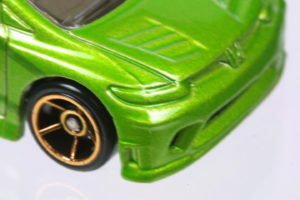 Also notice the tampos on the trunk that clearly stand out against the satin black finish. 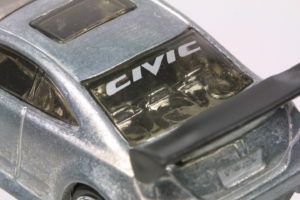 The original version without the special SEMA features. 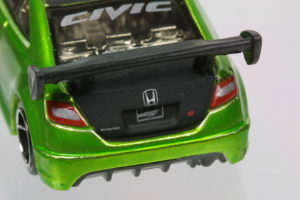 Though the trunk tampos still exist, they don’t stand out as clearly as in the original SEMA version. 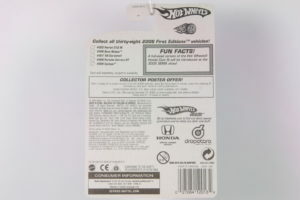 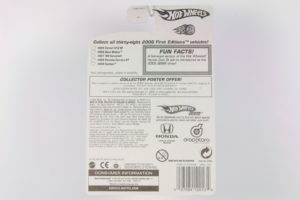 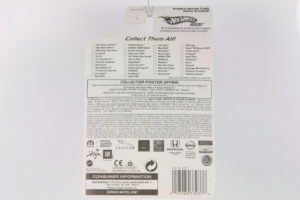 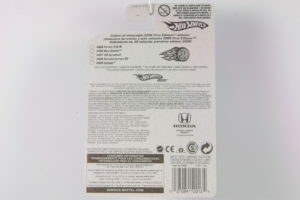 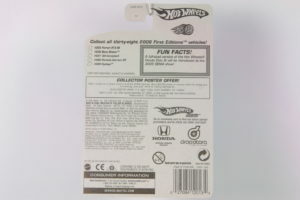 The windshield loses the Hot Wheels logo. 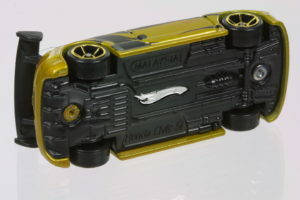 A later version with black graphics instead of the green ones in the original editions. 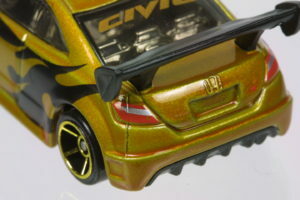 The FTE wheels are now gold as is the CIVIC tampo on the rear window. 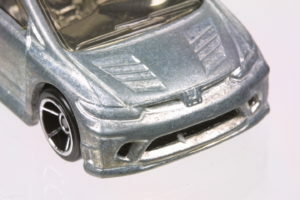 Error or variation? 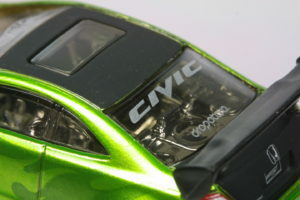 CIVIC tampo on the windshield instead of rear window.